Metafence offers an Ultra Steel Palisade System that is at the leading edge of steel palisade technology, resulting from extensive research and testing. The cold rolled "Ultra" pales, rails and posts create an exceptional strong security fence with an attractive look that is lacking from other systems. The Ultra Steel Palisade System is assembled on site quickly and easily, following the gradient of the ground, eliminating vulnerable gaps at ground level left by some mesh and rigid panel systems. 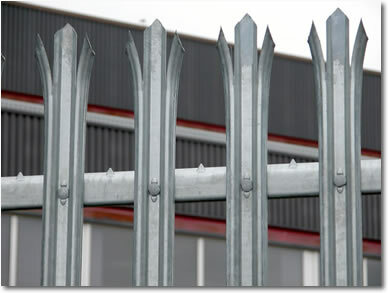 Specifiers and users can safely rely on the System offered by Metafence, the Ultra Pale's unique profile and its patented bolt head protection system that make it superior over conventional pale. The edges of the deep double curvature are finished with a neat Dutch bead, which not only provides further strength along the length of the pale, but makes it ideal for safe use where children may come into contact with the fence. 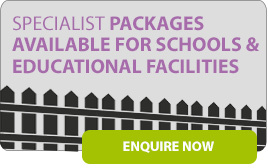 There is a choice of Ultra Pale heads to suit all requirements; on installations around schools or parks we would strongly recommend the round or round and notched tops.